I finished my performance evaluation for my day job today. Should I even say day job since really podcasting and this blog does not pay? Oh well, I did it anyway. Filling it out got me thinking about my previous employer. Same job just a different employer. I would have to set yearly goals for myself. My supervisor would then walk me through breaking those larger goals down to manageable outcomes. I decided to do something similar to my personal yearly goals. I had never done that before and come November I am usually bummed that I didn't get as much accomplished that I wanted to. I have a lot of exciting things going on this year and hope my goals help me with those things. 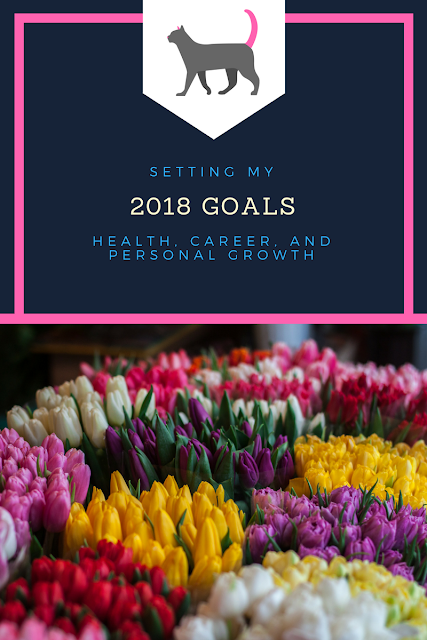 Its my goal (haha my goal about my goals) to share an update every three months. I would love to say monthly but I am really trying to be practical. Here are the goals I have set so far. I am over joyed with how well this little shop has grown. I admit I was not prepared for the Christmas rush and it got the best of me. I was overwhelmed, stressed, and all around crabby. I'm hoping for a better Christmas 2019. Painting my living room inspired me to look at other rooms. I want to paint my room. Its the only room left from us moving in that hasn't been touched. But now the kitchen/hallway is looking worn. I took down a huge hutch that wasn't functional anymore and in its place I made an island/bar type thing that so far I am loving. I will share here soon. I've gotten to the point that I rarely fix my hair or have make up on. I literally spend as much time as possible in sweats. That is not me. I don't know how I let myself get to that point. I had a work appointment last week and met with someone with no make up on and my hair in a pony tail. I did at least have nice clothes on. I want to get away from this level of laziness. I'm drinking more water and tracking my movement and sleep with my fitbit.. When it alerts me to walk I get up grab some hand weights and get to walking. I have to say I do feel more refreshed afterwards. I have been complaining for years about needing to lose 15-20 pounds. This is the year I am going to do it. I haven't decided how yet, but I know going to a gym is not me. I am over the moon excited with the podcasts growth. We do a Happiness Jar every year and write positive things that happen. One thing I wrote was how many downloads we had. It was early in the year. We have doubled that per episode (if not more) It made me laugh at how excited I was and I had no idea what was in store for us. That being said there are still some areas I want to work on. I updated the etsy shop's banner and logo. HFP will be getting a make over too, I am also going to focus on marketing it better. I am still planning on starting a second podcast this year. I haven't decided the exact launch date though. Either spring training or right when pre season games start. Either way if you like football, you may like that new endeavor. Because I like to stay busy I am also starting a youTube channel. It was be crafting and general tips. I am shooting for a March 1st launch, I have a list of topics and have been working on branding it with this blog and the Etsy Shop since everything will be under the Cat Hair and Glitter name. with all these projects (and kids who do lots of extra curricular activities) I know I will be busy. I need to step up my organization game. Last but not least this little blog. I know an editorial calendar would help. I just struggle with balancing topics I want to talk about and adding in the pinterest worthy pics which be honest doesn't happen. I will work harder here. That may be batch writing instead of flay by the seat of my pants last minute writing. I do want to improve my blog reading and add some new blogs to the mix. If there are some favorite blogs that you follow drop me their link in the comments. I would love to check them out. So there you go. Its a tall order, I know. But I am excited about this year and ready to get started. What are some goals you are setting this year?